The Gadget Code: Call of Duty Ghosts pre-E3 event: Will it be the best Call of Duty yet? Call of Duty Ghosts pre-E3 event: Will it be the best Call of Duty yet? The event was live streamed on You Tube with a small audience actually present at the event. 3. COD E3 booth showing COD single player levels. and then there was the interview from Oscar winning screenwriter Stephen Gaghan. The trailers showed some impressive gameplay for the upcoming Call of Duty with a few features to keep you interested as well. The introduction of Riley, the COD dog and his gameplay will be impressive and gamers will use it effectively. The other real feature was the underwater gameplay. 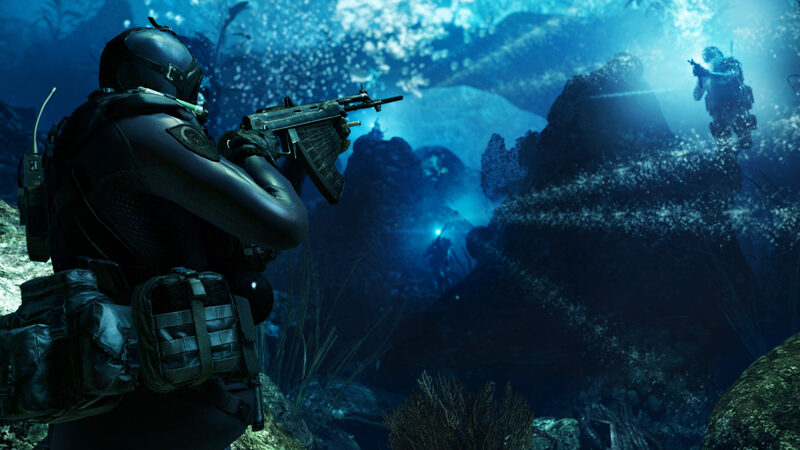 With all the dynamics of underwater movement and combat, Call of Duty Ghosts will impress many. Call of Duty Franchise continues to market its games effectively and maintain good sales despite the similar gaming genre. More like FIFA, they have grown a strong fan base that continues to stay loyal to the franchise. There have been many improvements made to the Call of Duty Franchise and clearly Activision and Infinity Ward have worked on the Single Player story as well. There intent was clear when the hired Stephen Gaghan for screenwriting.